There are very few popular figures that can actually get into the fashion game and rock the show with some really bold fashion moves. One of the most inspirational personalities is Cristiano Ronaldo. He is the pioneer into hairstyle game when it comes to interesting looks and here are the styles that he revamped and transformed into actual looks! 1.The undercut is the most popular Cristiano Ronaldo signature style! He pairs up all his interesting looks with the undercut because this is a bold yet steady and smart style statement. It is versatile and perfectly frames his head structure for the smart look. 3.The young Ronaldo always knew his place. He knew what styles will work for him and what wont. While going for the spikes, he never realized that this move will make him the fashion icon as well as inspiration for men also to get into this fashion game pre dominated by women! 4.The sides are his charm. You will always find an interesting side styles sharply with one fine definitive look that requires a great deal of self-confidence and commitment. His sides are always interesting and higher than just a basic undercut! 5.Finally we come to the hair color. His hair color game is strong and yet never over powering. He goes only as far as he can pull off with humility and does not go overboard with either fashion or colors! He is truly the hair connoisseur with multiple looks under his stylish career. 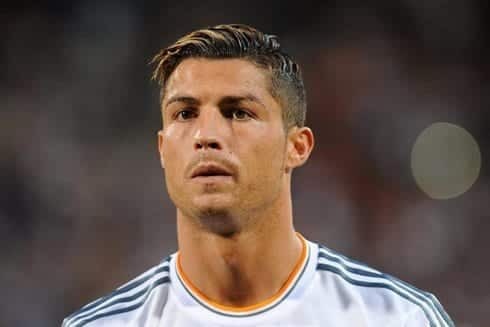 Here is a blog dedicated to Ronaldo Hairstyles!